Booths Penrith is in the heart of the Lake District, selling local produce. We have launched a brand new menu in our cafe, which features Booths’ mouth-watering range of ready-to-heat meals. We’ve also revamped our Afternoon Tea for Two and made it even better value at just £12.50 for Booths cardholders or £15 for non-Booths cardholders. Enjoy ham, egg and tuna sandwiches with a salad garnish, a scone each complete with cream and jam, plus lemon cake, chocolate cake, fruit flapjack and caramel shortbread bites, washed down with a pot of tea. Whether you pop in for cake and coffee, breakfast or a full lunch there’s something for everyone – our team look forward to welcoming you soon. 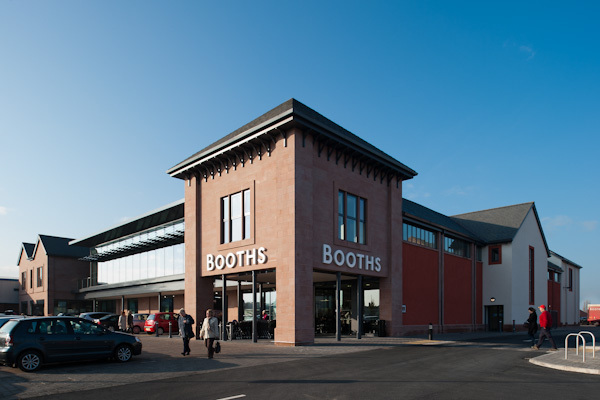 Customers who shop at Booths Penrith are entitled to two hours of free parking. We’re aware that some shoppers have found it difficult to find a parking space at Booths Penrith, so to ensure Booths customers have a better opportunity to park, we’ve introduced number plate recognition cameras. The two hour parking window will be enforced from the 25th March 2019.